Why have they disabled fear? 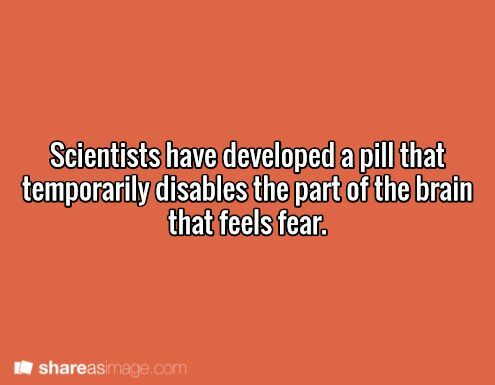 Are there already other pills that can disable other emotions? If there are pills that can disabled emotions are there other ones that can enable emotions? Why did the scientists invent this? Was it a mistake? Who tried the pill first? What happened? Were there any side effects? Are you made to take the pill or is it a choice? This would make for an interesting story. Thanks for sharing.